Shopping for Marvel Vehicles: Die-Cast Metal? 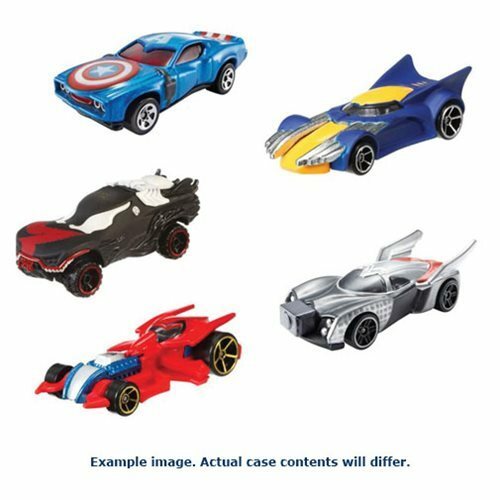 From the super-thrilling, action-packed world of Marvel, come supervillains and superheroes reimagined as die-cast metal Hot Wheels vehicles! In 1:64 scale, each features a unique deco and details authentic to their character. Collect them all! Ages 3 and up.